July is Wound Bed Preparation Month and effective wound bed preparation is the basis of wound care designed to promote speedy healing that also lowers the chance for infections and other complications. Dealing with wounds, especially chronic ones, requires expert care and knowledge. There are many different kinds of wounds needing various different kinds of treatments. Failure to recognize a specific kind of wound and offer the right kind of treatment can lead to hospitalization, re-hospitalization or even death if the wound becomes septic and is not treated in time. Sepsis, septicemia commonly called “blood poisoning” is a life-threatening medical emergency that needs to be treated by antibiotics as soon as possible. The sooner treatment is initiated, the better is the chance for the sepsis to be healed. Sepsis can come on very suddenly and it is basically an infection that instead of clearing up gets out of hand and spreads to the blood stream and is carried throughout the body. If not treated in time, it can lead to organ failure and death. Pressure ulcers are avoidable, as the proper skilled nursing care regimen of turning and manually changing the position of patients can prevent the formation of pressure ulcers. Certain mattresses like memory foam can also make for less chance of pressure ulcers. Neuropathic ulcers are mainly found in seniors suffering from diabetes. These come about as a result of peripheral neuropathy that can not only dull the pain, so it is not felt, but these patients may also not get a fever. In fact, they sometimes begin as a tiny scratch or wound that is not felt so it goes unnoticed and untreated. However, eventually these will cause swelling and may become full of pus. Effort must be put on healing these kinds of ulcers so that they will not get gangrene, which can lead to amputations. Neuropathic ulcers can also become chronic wounds that require ongoing treatment. Schemic ulcers of peripheral arterial disease also known as arterial insufficiency ulcers are also commonly found in diabetics and they are often a result of peripheral artery disease (PAD). In short, there is not enough blood flow to the lower legs to carry components that lead to healing. Chronic wounds are wounds like pressure ulcers, venous ulcers or diabetic neuropathic ulcers that do not respond to treatment and do not heal during a 30 day period. Surgical incisions from surgical operations need proper wound care and if they are not properly treated they can become infected. Whether or not your loved one is in need of proper wound care treatment, you should look for a skilled nursing care facility that offers expert and complex wound care. 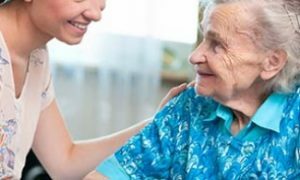 The reason for choosing a care facility skilled in wound care is just in case your loved one has some kind of progressive deteriorating illness that will eventually lead to needing more bed rest or longer times sitting on chairs. A skilled nursing facility can help prevent the formation of pressure wounds. Following the adage that “an ounce of prevention is worth a pound of cure” you should check out what kind of bed and mattress your loved one is going to sleep on. In general, memory foam mattresses are good for seniors, especially those suffering from osteoarthritis and they help to prevent pressure sores. Royal Suites Healthcare and Rehabilitation a 5-star skilled nursing facility surrounded by 8 beautiful wooded acres in Galloway Township, NJ, offers complex wound care rehabilitation. Even the tiniest scratch can become a major wound if it is not properly treated and becomes infected. Make sure your loved one is sleeping on a proper mattress like a memory foam one that helps to prevent the buildup of pressure sores and ulcers. If you or your loved one is in need of short or long-term skilled nursing rehabilitation care, then choose a facility that offers expert and complex wound care.